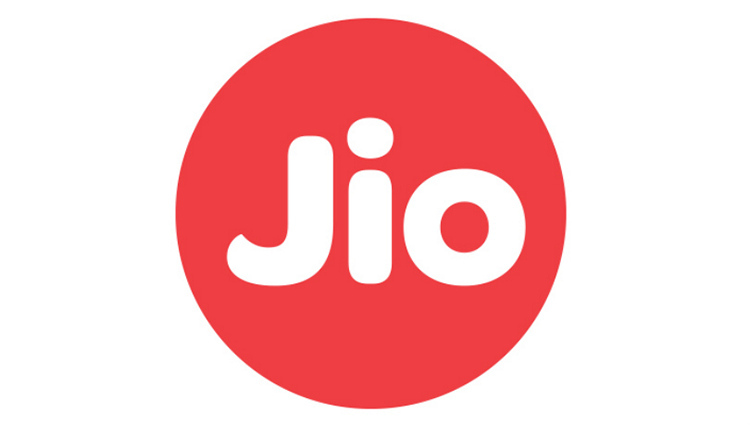 With Airtel, Vodafone and Idea starting to offer 4G data at cheaper price-points, Reliance Jio is reportedly getting ready to play the price game (once again) in an effort to keep its momentum as the fastest growing telecom operator in the country. While the company is yet to announce its latest round of price revisions publicly, multiple media outlets in the country are reporting that the Mukesh Ambani-led company will reduce the prices of its 1GB/day prepaid plans across the board from next week as part of its recently-launched Happy New Year offer. As can be seen from the screenshot below, prices of the popular 1GB/day plans will reduce by Rs. 50, with the current Rs. 199, Rs. 399, Rs. 459 and Rs. 499 plans set to cost Rs. 149, Rs. 349, Rs. 399 and Rs. 449 respectively. The validity periods of the plans will continue to remain 28 days, 70 days, 84 days and 91 days respectively. As Jio keeps reiterating, voice and SMS services will remain free across the board. The older price-points, however, are not being retired entirely, because the company will be offering 1.5GB of LTE data (alongside free voice and SMS) for Rs. Rs. 198, Rs. 398, Rs. 448 and Rs. 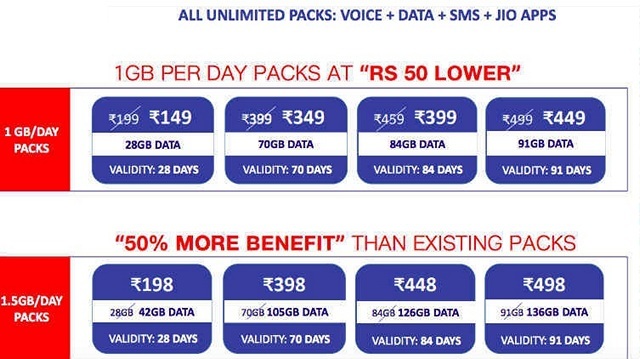 498 with validity periods of 28, 70, 84 and 91 days respectively, which basically brings you 50% more data at a one rupee discount. It isn’t immediately clear when these plans will go live, but The Indian Express is reporting that it might happen next Tuesday. We’ll also hopefully get a clarification soon about whether the Triple Cashback Scheme the company had announced last year will still be applicable for these new recharges. Either way, looks like the good times are here to stay for Indian mobile subscribers; at least, for a little while longer. And no, you need not worry about Jio (or any other operator) shutting down voice services any time soon, as was rumoured thanks to fake SMS spam spreading around the country this week.